Home / / Viking tunic with short sleeves, brown, M, special offer! Ulfberth Viking tunic with short sleeves, brown, M, special offer! Material: wool mix, 85% wool/ Colour: brown/ Sizes: M/ Based on a historical original/ Shipment weight: 300 grams. 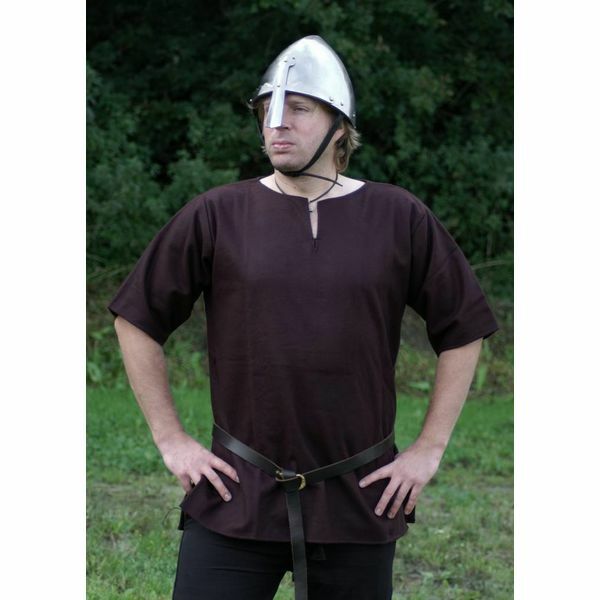 This type of tunic was a basic piece of clothing worn by men all over Europe during the Early to Late Middle Ages. The tunic can be worn on its own, or as an undergarment under a tunic of another colour. In colder climates, it was often combined with trousers and leg wrappings. Laundry prescriptions: Wash by hand, possibly handwash programme in the washing machine. Size Chest girth approx.. Sleeves approx. Total approx. 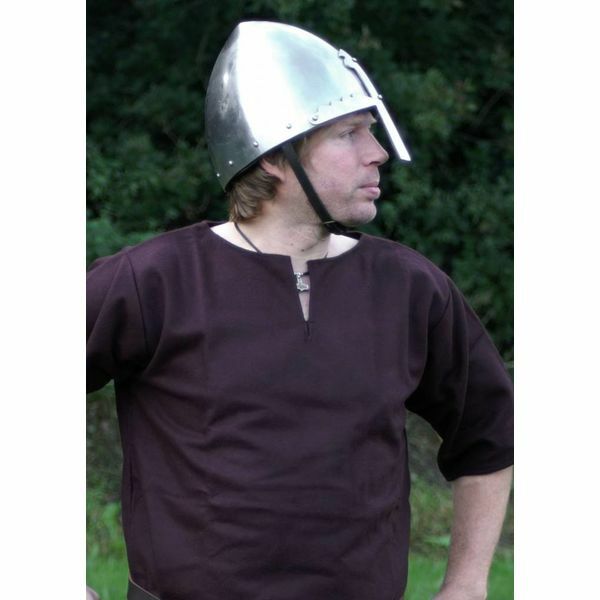 Viking tunic with short sleeves, brown, M, special offer!